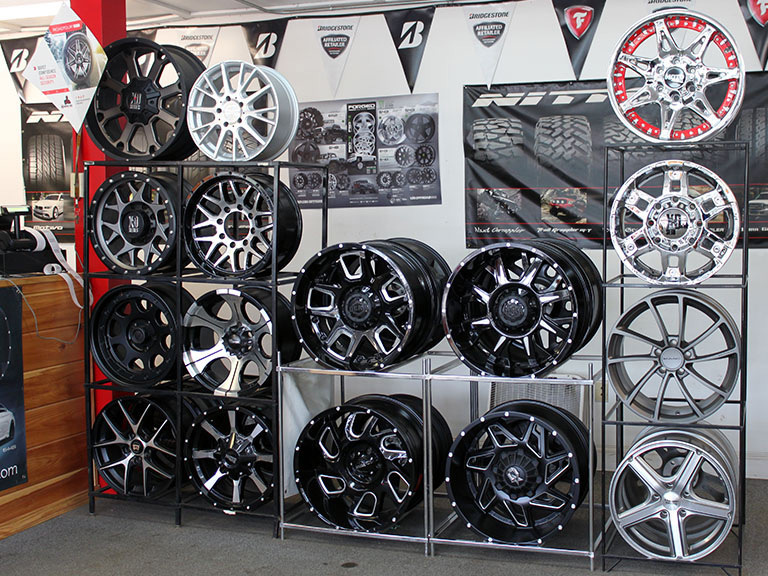 Skowhegan & Waterville Tire Centers - Maine Tire Center - Custom Rims & Wheels - Passenger & Commercial Tires, located in Skowhegan/Waterville Maine. 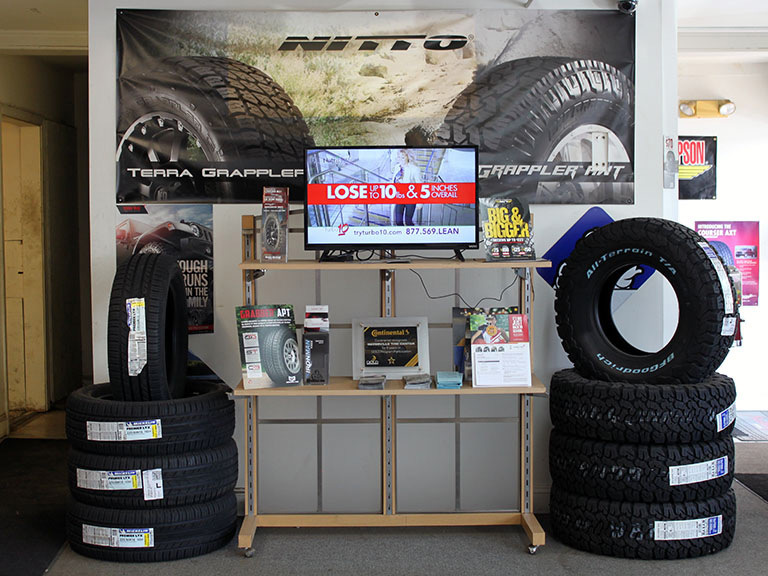 Skowhegan and Waterville Tire Centers are locally owned and operated tire centers offering their services to both passenger and commercial vehicles. We offer new and used tires from lawn mower to skidder tires and everything in between. 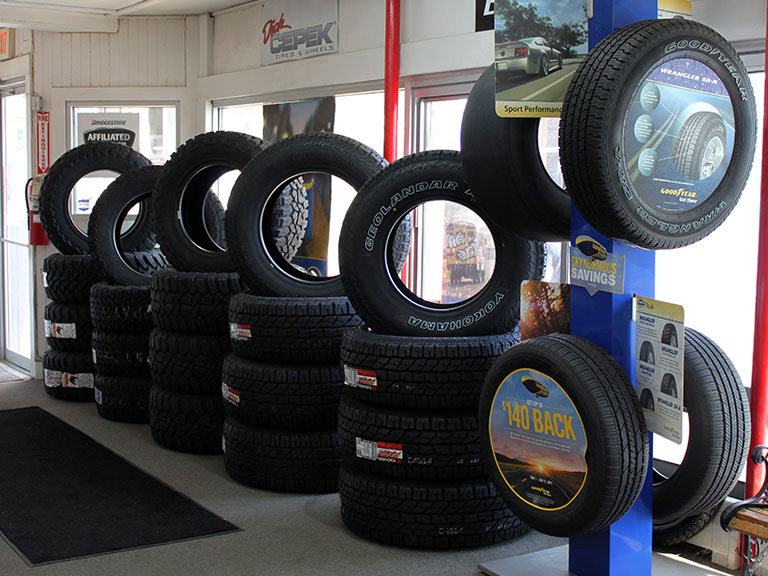 With every purchase of four tires we offer free tire rotations and flat repair for the life of your tires. In addition to our tire services we are a National Accounts Dealer for both passenger vehicles and commercial trucks and offer MStar roadside services. Enjoy the advantages of a Goodyear Credit Card by clicking on the image below to apply. From Lawnmower Tires to Skidders and Every Tire In-Between, We Will Not be Under-Sold! Copyright © 2019 Skowhegan & Waterville Tire Centers. Design and hosting provided by PHD Consulting, a Maine company.